I first wrote a web secret about high touch in 2014. I am writing about it again in a different context. In a recent blog post, I asked what does increased automation mean for those of us who are working in behavioral health care or employee assistance? I pointed out that fortunately, what we do as mental health professionals is tech proof. 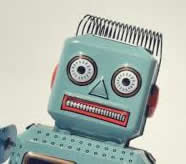 At least until right before The Singularity, when robot brains will be indistinguishable from human ones. I feel confident that we will continue to thrive for at least a few decades, maybe even 50 years or more, because of a concept coined in 1982 by John Naisbitt, an expert in futures studies. Naisbitt wrote Megatrends, the fruit of 10 years of research, in 1982. In it, he theorized that in a world of technology, people will long for personal, human contact. High tech, high touch. 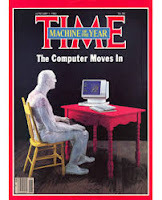 He thought about this before Time Magazine's famous "The Computer, Machine of the Year" issue of 1983, for which the caption was "The computer moves in." I can still remember how shocked everyone was that a machine was on the cover instead of a person. Naisbitt further elaborated on his concept in his 1999 update "High Tech, High Touch - technology and our search for meaning." Based on exhaustive research, he described us as living in "a Technologically Intoxicated Zone," where we are bombarded with technological stimuli and live distanced and distracted. At that time, Naisbitt noted that we struggled to bring high touch back into our lives, seeking meaning in religion and self-help books, popping Prozac and seeking connection to nature by driving SUVs and buying clothes from L.L. Bean. The book suggested we pull the plug on the computer and TV, turn off the cell phone and beeper, and spend more time with family and friends. Back to the present, we may deliver services via portable technologies, but at least for a while, the therapist/client relationship will still be valued. And employees will need the help of their EAPs to cope with the rapidly changing employment landscape. And we will still need to pull the plug. ...With Amazon’s announcement ... that it plans to hire 100,000 new employees in the next 18 months, the Baltimore facility and at least 70 other Amazon fulfillment centers across the country stand to be among the biggest beneficiaries. Fifteen miles away in the suburbs, all that is left of Owings Mills Mall is rubble, demolition having started in the fall, after the last anchor stores, Macy’s and J. C. Penney, closed within months of each other. ...it’s key to remember that online retailing has destroyed many times that number of positions at malls and shopping centers across America." ...Such uncertainties led the McKinsey researchers to calculate the pace of automation as ranges rather than precise predictions. The report’s multifactor scenarios suggest that half of today’s work activities could be automated by 2055. That threshold could be reached 20 years earlier or 20 years later, the report adds, depending on economic trends, labor market dynamics, regulations and social attitudes. So while further automation is inevitable, McKinsey’s research suggests that it will be a relentless advance rather than an economic tidal wave..."
What does this mean for those of us who are working in behavioral health care or employee assistance? What we do is tech proof. When I was a tween we moved from the U.S. to Switzerland, and lived there for two years. This was the late sixties and in those days, when you were in another country, you were completely cut off from just about everything in your native land. Long distance phone calls were prohibitively expensive. Air mail took two weeks to get there. It took time - months - for the latest music to get to the local record store. Forget about watching current TV shows. Those took years. You were effectively walled off. After two years we returned and I was a stranger in a strange land. I was out of the loop, didn't get the jokes, or the references. Fast forward to 2017. Everyone around the world can watch Game of Thrones at the same time. Spotify allows me to access the music I heard at a restaurant in Italy, upon my return to New York. Versailles, a French TV series broadcast on Ovation about a young Louis XIV's quest to build his famous palace, was made in English so as to reach the largest global audience. The show's creators asserted that if Louis was alive, he would have agreed to the use of English, because he was always trying to communicate his ideas to the largest population possible. But this isn't just about the globalization of American entertainment. It's about all entertainment, from every corner of the world making its way to your screen as well. 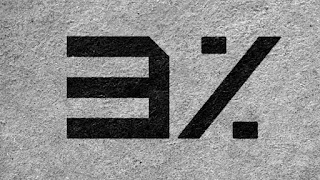 Netflix recently released 3%, their first ever Brazilian science fiction TV series - available in English or Portuguese. Once you get past the obvious travel destinations and sights, what is there to see? As it turns out, a whole lot. Let the website "Atlas Obscura" show you the way. Atlas Obscura describes itself as "the definitive guide to the world's wondrous and curious places. In an age where everything seems to have been explored and there is nothing new to be found, we celebrate a different way of looking at the world. If you're searching for miniature cities, glass flowers, books bound in human skin, gigantic flaming holes in the ground, bone churches, balancing pagodas, or homes built entirely out of paper, the Atlas Obscura is where you'll find them." In my own New York City backyard, I discovered the Roosevelt Island Smallpox Hospital Ruins. When I was a teenager, my mother and her Parisian friends were perplexed by my insistence on visiting the Catacombes de Paris, the underground burial site of 6 million people. The website is inspiring me to visit the Vampire Café in Tokyo, Japan. Or Ball's Pyramid in Australia, a barren sea spire that is home to the world's rarest insect. But for now, I will happily armchair travel.